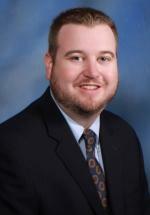 Ruddledge Smith is an associate attorney in the criminal defense and family law practice group at Smith Bigman Brock. He graduated from Florida State University with a Bachelor of Science in Finance in 2008. While pursuing his undergraduate degree, he was a member of the Alpha Tau Omega Fraternity. In 2011, Mr. Smith graduated from Florida Coastal School of Law earning his Juris Doctorate. After law school, he interned with the Office of the State Attorney in the Seventh Judicial Circuit and then worked as an assistant state attorney for two and one-half years. Mr. Smith has lived in the Volusia County, Florida, area all of his life. His ties to this community, and this law firm, run the span of his life. Mr. Smith is the son of founding partner, Horace Smith, Jr. It is a privilege to have him in private practice with Smith Bigman Brock.